With the new year well under way, it’s time to start thinking how you can level up your career in 2018. With that said, I want to introduce you to the awesome Creative Class run by Paul Jarvis, a whip-smart creative who I have been following for many years. 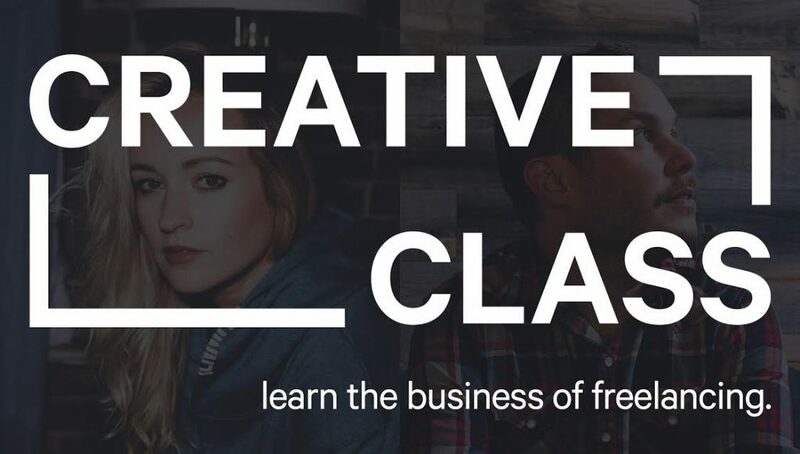 The Creative Class is an online course that includes 15 self-paced online lessons, along with bonus materials, a tight-knit community channel and more. At its core, the course teaches you the toughest part of our jobs as freelancers … business, marketing and sales. From start to finish. We’re talking clients. Pricing. Landing projects. Getting paid. Managing revisions (endless revisions). Finding your audience and connecting with them in a way that feels right for you. The business of freelancing – something that is rarely spoken about online or anywhere for that matter, including highly regarded sites like Udemy or Skillshare. Below is a short intro video to the course by Paul himself, worth watching. What I love about Paul’s unique approach in this course, is that everything is clear and actionable. You’ll know exactly what you need to do for your business – and how to do it. As for numbers, in just four years of running this course, 2,300 students have bought this course and less than 0.3 percent of students asked for a refund. It’s quality, taught from Paul who practices what he preaches. But do hurry as course enrollment closes on April 16th. After discovering Creative Class, I reached out to Paul to see if he could offer Just Creative readers a discount again and lucky for you, he said yes and offered a $30 discount. To get $30 off Creative Class, go to the billing page and under ‘Discount Code’, enter ‘JUSTCREATIVE’. Go claim your free $30 off before it’s too late. Let me know what you think of the course and here’s to an awesome 2018!